Looking for something other than fireworks to brighten your Independence Day? Check out the hot holiday and summer specials being offered at your favorite Chicago restaurants. After you work up an appetite outside, make sure to fill up on great food and drink specials! Enjoy an elegant, yet cozy environment while experiencing delicious American-style cuisine at Birch River Grill. Take pleasure in hot summer specials including free appetizers 4 p.m. to 6 p.m. daily! Experience a twist on a classic, home-style meal with executive chef John Ayaleanos’ delicious entrées, including Birch River Mac N’ Cheese, featuring mild and sharp cheddar cheeses and toasted brioche crumbs upon cavatappi noodles ($10) and Cedar Planked Maple Salmon, served in a maple rosemary garlic glaze with smoked bacon wild rice pilaf ($19). In the mood for something light but filling? Try the Grilled “Baja Style” Fish Tacos –perfect for summer -- served in corn tortillas with shredded cabbage, spicy salsa and cool cilantro lime mayo ($10). Guests looking to enjoy their meal in the lounge should check out its menu, featuring classic choices such as Corned Beef Reuben ($9) and Pulled Pork Sliders ($9). 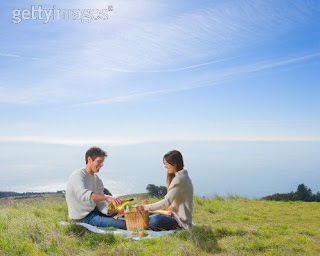 Lunch breaks often don’t give ample time to enjoy a satisfying meal. With Birch River Grill’s Express Lunch, guests can enjoy their choice of two ($7) or three ($9) of the following within a busy workday: Cup of Soup of the Day, Small House Salad or Caesar Salad, and/or Half of the Daily Sandwich. Being busy should not mean eating badly. Swing by today for the perfect mid-day meal! For reservations or more information, please call Birch River Grill at (847) 427-4242. This year Deerfields Bakery will be handing out gluten-free cookies and mini cupcakes at the annual fourth of July parade in Deerfield. Last year, the lauded Northshore bakery handed out more than 15,000 cupcakes. This year, the bakery elected to go gluten-free in honor of its new offering of gluten-free baked goods. "We plan to hand out Lemon Buttons and mini chocolate cupcakes," explained Kurt Schmitt, president of Deerfields Bakery, who has made gluten-free his pet project. "No one will even guess these baked goods are gluten-free," he added. "In addition to our organic whole grain products that we bake for a large grocery chain," Schmitt explained, "adding a gluten-free line is another avenue for Deerfields to offer a healthier alternative to everyone." For more information on gluten-free or any of Deerfields Bakery items, call (748) 520-0068. Check out innovative food while enjoying the summer weather at Deleece. Guests are welcome to relax on the outdoor patio and dine on chef de cuisine, Chris Kuziemko’s impressive masterpieces, including Grilled Shrimp Penne Pasta served with grape tomatoes and pesto ($17) and Basil Ginger-Cured Amish Half Chicken in a tangy blueberry sauce accompanied with camembert and frisee panzanella ($15). Mondays and Tuesdays check out Deleece’s special $20 three-course meal. The menu changes weekly, allowing for multiple return trips to try new creations. Wine lovers beware: don’t miss half-priced bottles every Wednesday. Hours: Lunch: Tuesday through Friday, 11:30 a.m. to 2:30 p.m.
Dinner: Monday through Thursday, 5:30 p.m. to 10 p.m.
Friday and Saturday, 5:30 p.m. to 11 p.m.
Sunday, 5 p.m. to 9 p.m.
Brunch: Saturday and Sunday, 9 a.m. to 2:30 p.m.
Deleece offers carry-out in addition to dining-in. For more information or to make a reservation, call Deleece at (773) 325-1710. Get outside and enjoy the city this summer while feasting on delicious creations at Dine. With outdoor seating, try something from the new lounge menu, like the Seared Maryland Blue Crab Cakes($11), Grilled Norwegian Salmon ($25) and Slow-Dried Rummo Pasta ($18). Don’t forget to save room for dessert. Curb chocolate cravings with the Espresso-Dark Chocolate Moussecake ($8). Spend the day with Dine and holiday specials, featuring $4 Draft Beers, $5 Burgers, and $6 Specialty Red, White and Blue Martinis. Enjoy the summer weather on the 28-seat patio. Executive chef Christopher Turano treats his guests to a special menu July 26, when he dishes out a special Goose Island beer dinner. The meal begins with Lightly Smoked Sable, served with toasted caraway bilini and pickled ramp, accompanied with Seasonal Goose Island Summertime, followed by a Five Spice Roasted Duck Breast, accompanied with a saffron braised salsify and green apple slaw, served alongside a Classic Goose Island India Pale Ale. The third course features a Moroccan Spiced Lamb Shank with cauliflower “risotto” along with a white asparagus salad, featuring a Goose Island Reserve Matilda, followed by dessert; a Brown Butter Shortcake with palm sugar roasted finger bananas, accented with valencia burnt-orange caramel ice cream paired with Goose Island’s Reserve Pere Jacques. Dine’s mouth-watering Goose Island Beer Dinner is $40 per person. To make a reservation or more information, please contact Dine at (312) 602-2100. Nightly Bar Specials featuring $6 House Martinis on Fridays. Join the party at Dunlays on Clark this July 4 weekend. The restaurant’s popular brunch is going to be open on Friday, July 4, to ring in Independence Day. Guests can dine on favorite brunch items such as neighborhood namesake Lincoln Park, featuring goat cheese, asparagus, roasted red peppers, and artichokes ($8) or classic Eggs Florentine, which includes toasted brioche accompanied with smoked turkey, poached eggs and hollandaise sauce ($9). The fun doesn’t stop after the July 4 holiday at Dunlays on Clark. Enjoy one of their summer cocktails, including their featured mojitos. Guests can also choose from many specialty and summer cocktails, including a Clark Street Cosmo, with Stoli Razberi or Stoli Cranberi, Cointreau, cranberry juice and a hint of lime, and the Perfect Manhattan, with Maker’s Mark, sweet vermouth, dry vermouth, bitters and brandied cherries. Work up an appetite with all those tasty drinks? Try one of Dunlays on Clark’s delicious entrée’s including their Macadamia Nut Crusted Mahi, which is roasted and topped with lemon butter sauce, served with grilled asparagus ($21) or a Margherita Pizza –perfect for a filling snack—with fresh tomatoes, basil pesto, baby arugula, and mozzarella ($10). For reservations or for more information call Dunlays on Clark at (773) 883-6000. Celebrate the July 4 weekend right with Dunlays on the Square. Enjoy the restaurant’s signature brunch, featuring favorites like the Fresh Fruit Pancakes loaded with strawberries, bananas and blueberries served with potatoes ($8). Dunlays on the Square has extended their weekend brunch to include the holiday and are therefore open for brunch at 10 a.m. on Friday through Sunday. For reservations or more information, please call Dunlays con the Square at (773) 227-2400. Frasca Pizzeria & Wine Bar is celebrating the July 4 holiday with the regular dinner menu featuring favorites such as Fonduta, fontina and pecorino fondue with apples, toasted bread and sopressata ($9) and rich dishes like the Gnocchi Alla Pizzaiolo, homemade potato dumplings sautéed in tomato sauce with fresh herbs, smoked provolone and extra virgin olive oil ($14). Frasca Pizzeria & Wine Bar is now open for brunch. Open for the July 4 weekend holiday, the restaurant will begin serving brunch from 10 a.m. to 3 p.m. on Saturday & Sunday. The new menu offers traditional brunch favorites such as House-made Granola and Yogurt served with fresh fruit ($8) to more exotic items like Breakfast Pizza ($10). Don’t forget their featured bottomless mimosa’s ($10). 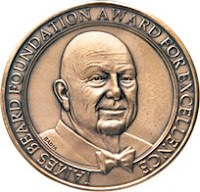 For reservations or more information, call Frasca Pizzeria & Wine Bar at (773) 248-5222. Restaurant-goers searching for casual, yet sophisticated dining need to check out Jacky Pluton’s newest restaurant, Haussmann Brasserie. This new culinary hotspot features Parisian-inspired American cuisine. Enjoy entrées including Striped Bass served with roasted red pepper “aigre-doux” ($25), and Beef Shortribs accented with a seven spice mixture, served with a carrot-horseradish puree ($26). During dinner, try a signature Haussmann Martini ($12) made with Grey Goose pear vodka, Belle de Brillat Liqueur and pear puree. Indulge in one the restaurant’s decadent desserts, including Jacky’s “Childhood” Tiramisu, or Meringues Profiterolles ($8 each). Hours: Monday through Thursday, 11 a.m. to 2:30 p.m., and 5 p.m. to 9:30 p.m.; Friday and Saturday, 11 a.m. to 2:30 p.m. and 5 p.m. to 10 p.m.; Sunday, 5 p.m. to 8 p.m.
For a reservation or more information, call Haussmann Brasserie at (847) 446-1133. Stay cool and refreshed this summer with one of Karma’s summer drink specials. Choose from eight delicious drinks including an Asian Pear Mojito ($9), Pom Margarita ($9), Mai Tai ($8), Lychee Sake Mojito ($9), Harvest Peach Sangria ($9), Karma Bloody Mary ($8), Karma Kolada ($8) and an 1800 Margarita ($9). Enjoy these tantalizing drinks with a delicious menu favorite, including Grilled Stuffed Rainbow Trout ($20), Orange Peel Tempura Chicken ($15) or Vegetarian Okonomiyaki ($15). Celebrate the Fourth of July at Karma with one of two entrée specials. 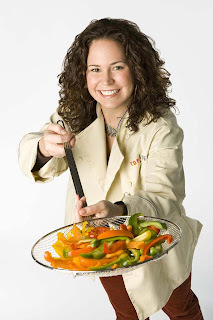 Executive chef Robert Packer invites guests to feast on a choice of Char Grilled 24oz. Porterhouse served with a lime ginger glaze, and wasabi aioli alongside shoestring potatoes and baby vegetables ($39), or the Pacific Rim Tilapia stuffed with Thai chili spiced shrimp and scallops served with wok-fried vegetables, forbidden rice and a lobster tobikko sauce ($24). Grab a cocktail after dinner in Karma’s sleek lounge. Drink specials include a Papaya Margarita ($7), Karma’s Green Envy ($8), and a Fruitini ($8). Hours: Sunday through Thursday, 6 a.m. to 10 p.m.; Friday and Saturday, 6 a.m. to 11 p.m. (Lounge remains open one hour later). Meals served: Breakfast, lunch, dinner and lounge menus. To make a reservation or for more information, please call Karma at (847) 970-6900. Gym shoes or ripped jeans ever kept you out of The Redhead? Well…in honor of July 4th and our 15 year anniversary, we are proud to announce the first ever independence from The Redhead Piano Bar dress code. For the July 3-5 holiday weekend only, liberate yourself from dress clothes and relax in … well let me put it this way; if you have something on your feet, something on your top and something in between, then you’re probably ok. Other than bathing suits, just about anything goes! No cover charge, live entertainment, robust selection of libations and great value year-round. For the July 3-5 celebration only there will be nightly prizes, so bring your business card for the drawing. The Redhead Piano Bar is open Thursday 7 p.m. to 4 a.m. and Friday and Saturday from 7 p.m. to 5 a.m.
For reservations or more information, call the The Redhead Piano Bar at (312) 640-1000. Spice up the culinary experience with Shochu’s new brunch menu. Executive chef Josh Hansen brings a twist to classic brunch with Asian-inspired menu items, including Lobster Mizuna Benedict accented with truffle hollandaise ($13), a Shitake Goat Cheese and Scallion Omlette ($8) and Pear Ginger French Toast with sesame whipped cream ($7). Don’t forget to order a Bottomless Mimosa ($15), which is currently being offered during Saturday and Sunday brunch! In the neighborhood for dinner? Have dinner on Shochu’s beautiful 60-seat outdoor patio and enjoy menu favorites such as Blueberry Teriyaki Quail with quinoa spaetzle, served with miso lychee aioli and black sesame seeds ($10), and the Red Curry Shrimp with fuji apple served alongside a peanut scallion and pea shoot salad ($11). Don’t forget a namesake shochu cocktail. Shochu, Japan’s highest-selling alcoholic beverage, is similar to vodka and thanks to its distilling process, easy on hangovers. Try a Bloody Dragon made with rice shochu, blood orange, malibu, and soda ($9). Hours: Dinner: Sunday through Friday, 5:30 p.m. to 2 a.m.; Saturday, 5:30 p.m. to 3 a.m.
Brunch: Saturday and Sunday, 10:30 a.m. to 2:30 p.m.
For a reservation or more information, call Shochu at (773) 348-3313. Celebrate the July 4 with one of Chicago’s most renowned neighborhood barbeque joints, The Smoke Daddy. On July 4, join the Smoke Daddy for the Red, White, and Q Celebration, when the restaurant offers $3 Pabst Blue Ribbon Beers and their full menu all day long. The Smoke Daddy is located at 1804 West Division Street in Chicago’s eclectic Wicker Park neighborhood. To celebrate Independence Day, The Smoke Daddy is open 11:30 a.m. to 1 a.m. for dine-in and carry-out orders. Guests enjoy free, live music every evening at no extra charge. For reservations or for more information, please call The Smoke Daddy at (773) 772-6656. In the mood for good old fashioned barbecue, but don’t feel like dusting off the grill? Head to Sweet Baby Ray’s Barbecue Restaurant in Elk Grove Village, and grab a seat on the outdoor patio Guests will experience executive chef Paul Papadopoulos’ skills on the grill in creating classic dishes. Enjoy nightly drink specials along with favorites such as Baby Back Ribs smothered with Sweet Baby Ray’s famous barbecue sauce, half slab or full slab ($12.99/$19.99), Jamaican Jerk Chicken Platter ($12.99) and Smoked Shaved Prime Rib Sandwich ($10.99). Rib lovers prepare, The Naperville Ribfest is right around the corner. The second biggest rib contest in the U.S. kicks off July 3 and continues through July 6. The good people at Sweet Baby Ray’s will be there, serving delicious barbecue to hungry attendees. Guests can feast on St. Louis Style Spare Ribs, Pulled Pork Sandwiches, BBQ Chicken Breast Sandwiches, Boneless Rib Sandwiches, and House-made Barbecue Baked Beans and Cole Slaw. In addition, Sweet Baby Ray’s is one of only two vendors to be selling Baby Back Ribs at the event. Enjoy the summer weather and join Sweet Baby Ray’s at the Naperville Ribfest! Nothing goes better with fireworks than Sweet Baby Ray’s barbecue. In-house, guests will be treated to a menu of Baby Back Ribs, Smoked Chicken, Fresh Corn on the Cob, and Sliced Watermelon for $19.99. Holiday-exclusive drink specials include a Lemon Crush Martini ($7) and Rum Antique ($6), available only for the weekend. Guests looking to grab barbecue to-go can look forward to the restaurant’s exclusive carry-out specials. Pick up classic Baby Back Ribs ($15.99), St. Louis-Style Baby Back Ribs ($14.99), or a Whole Smoked Chicken ($8.99) at special prices. Feeding a big group? Get multiple orders of favorites or pick up ten pounds of Pulled Pork for $79.95. Both the in-house and carry-out specials are only available July 4 through 6. Make the holiday complete with barbecue from Sweet Baby Ray’s. Guests checking out the local festivals on the Fourth of July can catch Sweet Baby Ray’s out and about in Chicago. Head to Frontier Days in Arlington Heights and catch some fireworks at Itasca Fireworks. Just make sure to keep an eye –or a more appropriate nose-out for their famous barbeque. Sweet Baby Ray’s is treating its bar patrons to a Free Appetizer Buffet from 3 p.m. to 6 p.m., Monday through Friday, so grab a drink and chow down! Entrée specials include All-You-Can-Eat Baby Back Ribs every Wednesday ($16.99), and a Smoked Prime Rib Dinner every Friday and Saturday ($18.95). Don’t forget to bring the whole family because kids eat free every Tuesday. Hours: Monday to Thursday, 11 a.m. to 10 p.m.; Friday, 11 a.m. to 11 p.m.;Saturday, 9:30 a.m. to 11 p.m.; Sunday, 9:30 a.m. to 9 p.m.
For more information on specials or to make a reservation, call Sweet Baby Ray’s Elk Grove at (847) 437-9555. 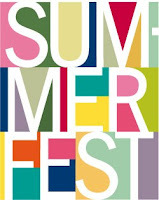 River North celebrates SummerFest 11 a.m. to 7 p.m. this Sunday, June 22 at Erie Park (Erie and Kingsbury streets). The day-long event celebrates life in River North and features restaurants, art, retail, and entertainment for young and old alike. The event is organized by the River North Residents Association and the River North Association. The suggested donation is $5 at the door. Fifty area business will showcase their wares including Ai Japanese, Buca DiBeppo, Citizen, Kitsch'n, LaMadia, Melting Pot, Rocket, The Redhead Piano Bar, and Zocalo restaurants. " This provides the perfect opportunity to experience River North ,"says Art Bryan, an event sponsor and First Vice President of the River North Association. Entertainment includes Jesse White Tumbling Team, Pipe Dream, Sancocho, Jon Wade Ouartet, Impressionist Portraits, Personal Massages, Kayak Rides, Prize Drawings, and the new Erie Park Farmer's Market. There are special sections for children's activities and for pets, including pet adoptions. Come prepared to explore, have fun and relax. There will be opportunities for massages, psychic readings, and portraiture. Presenting sponsor of SummerFest are the East Bank Club and Erie-LaSalle Body Shop & Car Care. Supporting sponsors include Rock Bottom Brewery and Restaurant, Peak Organic Brewing Company, Harris Bank, and Green Heart. Other sponsors include Caribou Coffee, Dance Chicago, East Bank Storage, Erie Cafe, Juvenesse, Kozy Cyclery, Safegard, Park Kingsbury, 7-Eleven, Redhead Piano Bar, and Alderman Reilly.For information, contact River North Residents Association at http://www.rivernorthresidents.com/ or River North Association at http://www.rivernorthassociation.com/ or call 312-645-1047. NBC-5’s Wayne Johnson was kind enough to invite Shochu Executive Chef/Partner Josh Hansen to NBC this morning to demonstrate how to make grilled small plate dishes featured at Shochu. Wayne’s recent visits to Shochu inspired him to host a dinner party featuring grilled small plates, and he enlisted Josh to share his knowledge on Wayne's Weekend. 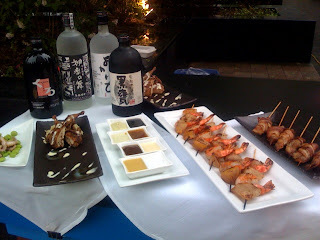 Chef Josh demonstrated two yakitori, or grilled, skewers: bacon wrapped quail and shrimp with Asian pear. A thunderstorm may have ravaged Chicago last night, but this morning it was nice enough to have the segment outside on the Plaza! In case you missed the segment, you can read more about it here. This was Chef Josh’s second TV segment of the week! 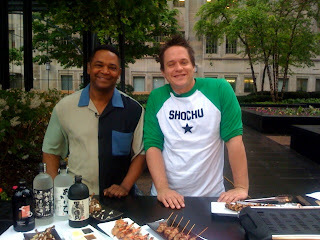 Shochu’s television star also appeared on WGN-TV’s noon news Lunchbreak segment on Monday, June 2, to demonstrate grilled skirt steak lettuce wraps and the shrimp with Asian pear yakitori. Shochu is located at 3313 N. Clark Street, Chicago, IL 60657. Reservations can be made by calling (773) 348-3313. Please visit the Shochu Web site at http://www.shochuchicago.com/.